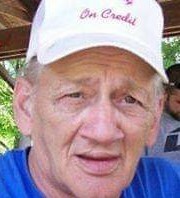 William H. “Bill” Bacon – 73 – of 170 East Ave., Hornell, died unexpectedly Thursday afternoon (March 28, 2019) at his home. Born in Hornell on May 21, 1945, he was the son of Frederick & Mildred (Hann) Bacon. Bill grew up in Hornell and attended Hornell High School. He was a veteran of the US Navy, serving his country during the Vietnam era. He had been employed for several years for the City Hornell Department of Public Works, working primarily as a member of the road crew. For over 25 years, he was employed at Kraft Foods in Avon, working on the production line. He retired about 10 years ago. Bill was an avid hunter & fisherman. He loved fishing in both lakes & streams and also loved being outdoors hunting deer. He was very family oriented and was always there to lend a helping hand to both family & friends. He will be sadly missed by everyone that had the pleasure of knowing him! In addition to his parents, he was preceded in death by his longtime partner & companion, Carol Feenaughty who died November 19, 2017; 3 brothers, Jeff Bacon, Charles Bacon and James Bacon. Surviving are 8 “Children”, Kathy Weldy of Buffalo, Sharlene Kemp of Hornell, Larry (Kris) Feenaughty of Hornell, Patricia (Tim) Callahan of Canisteo, Mike (Lynda) Feenaughty of Nashville, TN, Karen (Don Ward) Booth of Hornell, Joe Jackson of Canisteo and Ronald (Priscilla) Feenaughty of Almond; 5 brothers, Roy (Debbie) Bacon, Ron (Wanda) Bacon, Larry (Diane) Bacon, Richard (Donna) Bacon and Philip (Joan) Bacon; 1 sister, Elaine Bacon; his sister-in-law, Debbie Bacon; 37 grandchildren; 69 great-grandchildren; many nieces & nephews. At Bill’s request there will be no calling hours. Private services with military honors will be held at the Dagon Funeral Home, 38 Church St., Hornell, NY at the convenience of the family. Interment will be in the Bath National Cemetery, Bath, NY. In honor of Bill’s service to his country as a member of the US Navy, the American Flag at the Dagon Funeral Home will be flown at half-staff. Our condolences to the family of William H Bill Bacon. Sorry for your loss.